Phenolic is a unique material designed to resist the deformation of water contact in wet rooms. The engineered superior strength of Phenolic offers many advantages, including overall water and damage resistance. Phenolic material is ideal for high humidity areas, or where hose-down cleaning methods are used. Color-Thru Phenolic restroom compartments have excellent screw-holding power and all the advantages of original Phenolic performance. Also Color-Thru Phenolic partitions offer wide range of color options. Phenolic exceeds the Fire Protection Association’s recommendation for smoke production. 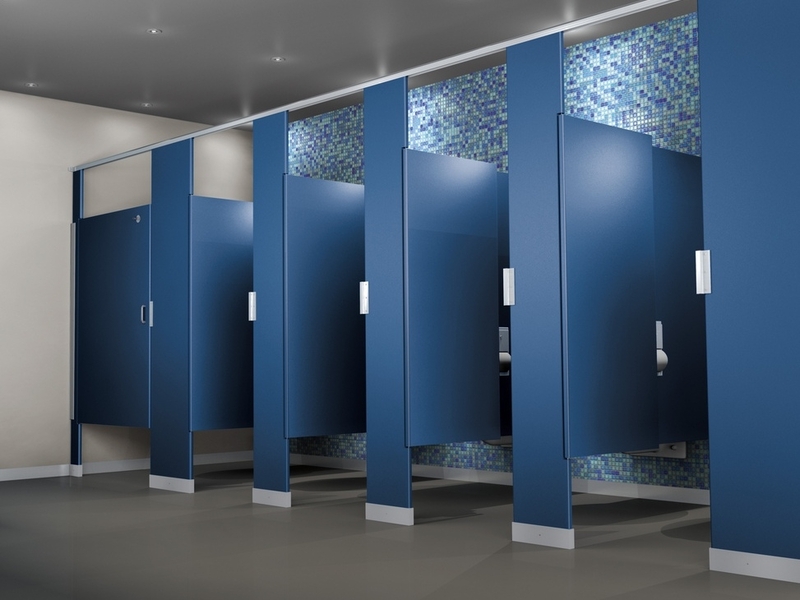 The exterior finish of the Color-Thru Phenolic bathroom partitions are available in many designer colors and wood grain textures to appeal to any decorating taste.